Nowadays, nearly half of the population owns a pet as they give not only emotional benefits but also provide other health benefits, including the physical ones! All the pets come with their own set of needs related to food, exercise, and play time. 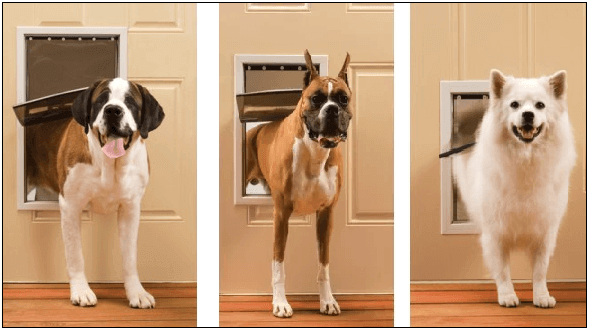 Thus, many pet owners prefer to install a dog door to make their and the pooch’s lives easier. 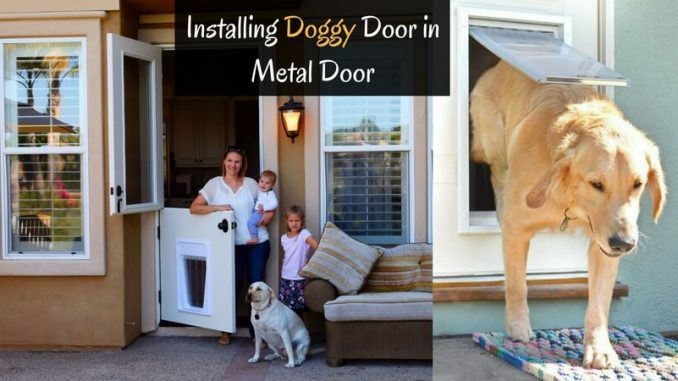 Also, installing a dog door is neither tricky nor time-consuming. There are many types of pet doors available in the market like a custom tunnel, built-in pet doors, wall doors, designer doors, sliding glass door panels, etc. Also, there are many places in the house where we can fix the dog doors, and the most common area is a wall or a house/garage doors. Whether it is a door of wood, aluminum, or any heavy metal, the door installation is easy. Let’s know about the procedure of how to install a dog door in a metal door in this article. 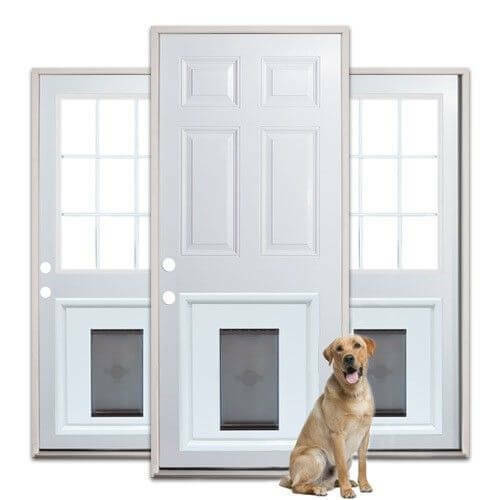 The process of Installing doggy door in metal door differs from the installation of the wooden doors as the metal doors are robust than any other materials. However, it is still manageable, and you can do it yourself. When you purchase the dog door, there must be some fitting instructions which came with it. Read all those instructions correctly and gather the material you will need to install the door. Follow the information and take the measurements where you want to fit the dog door into your home’s entrance. It is important to know that where you want to place the bottom of the dog door. It must be high enough from the base of your door so that the pets can use the door without any discomfort. Marking of the dog door is highly essential. First of all, mark the bottom line where you want to install the dog door. After that, mark the uprights. Some dog door installation kits include the exact measurement guide with it for the precise marking process. You have to stick that sheet to the place where you want to install the dog door, mark the lines, and remove it after that. Firstly, drill small holes in each corner of the frame you have marked out. After that, take a metal cutting jigsaw blade and start cutting the marked lines on the door. If the door is double skinned, cut both of them for precise fitting of the dog door. While cutting, you must take care of the cutting machine. It should be at 90 degrees to the door. Do not cut any extra portion otherwise; you have to fill it with the foam. As the door is a metal door, we just can’t forget to cut the edges for the safety reasons. So, clean all the sides of the fresh cuts, even if they are not visibly exposed. You can use the specialized manual deburring tools to remove the burrs. Take more care and always wear gloves so that you do not end up hurting yourself. Take out the frame of the door from the kit or if is not given then create one. You need four pieces of timber which should be cut as per the dog door measurements. If the door is double skinned, then don’t forget to measure both the skins. Use the screw as a handle, insert the frame, and fit it into the place. Use glue if you want to have additional security. 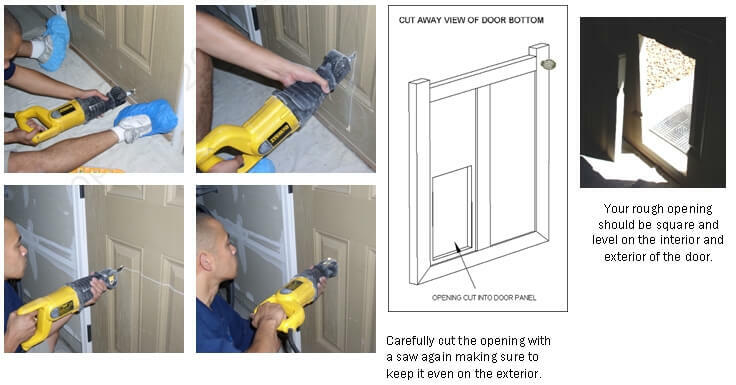 Follow the instructions given with the pet door installation kit. Insert the dog door into the hole and sync it with the outer frame you have made and installed. It will secure the dog door. Just like that, you can connect the actual door to the structure from the other side of the door. These are the steps of installing the doggie door in metal door. There are also some other options available for electronic dog doors and sliding doors, etc. If you want to control your pooch’s outgoing movements, you can try these options too. I hope you have found this article useful and the procedure comfortable. Give your pet the ultimate freedom by installing a dog door and stay free from further disturbance.